This update continues the same high standards set by previous editions and adds new features of help and interest to students. Explains how to construct and solve mathematical models which describe the effects of force and motion on a variety of structures and machines. 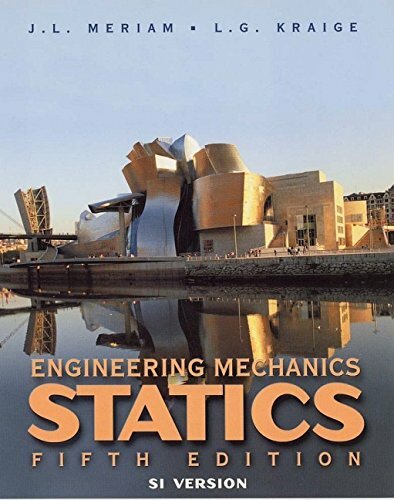 Contains a vast amount of problems, ranging from simple to complex, which deal with principles and procedures inherent in the design of engineering structures and mechanical systems. Sample problems with detailed solutions include helpful observations of common errors and pitfalls to be avoided. Meriam, J. L.; Kraige, L. G.